“ . . . spiders are ruthless storm troops in the matriarchal anarchy that is the arthropod world: theirs is the most diverse, female-dominated, entirely predatory order on the face of the earth. As such, spiders are key components of all ecosystems in which they live.” (Bennett 1999). To date, there are 859 spider species confirmed from British Columbia--the total spider fauna of the province is estimated to be more than 1000 species (Bennett et al. 2017). Click here to read about the spiders of British Columbia (PDF posted with permission of the ESBC). Or read this paper on Canadian spider diversity and systematics (PDF posted with permission of the BSC(TA)). To learn more about the Royal British Columbia Museum's spider surveys and research see the CBC's interview with the RBCM's spider researchers and coverage in the Revelstoke Current and the Nelson Daily. Read our note on the mating sequence of the familiar crab spider (Misumena vatia). You will need to scroll down to page 144 to view the article. There are no brown recluse spiders in BC or in Canada. Their range is limited to the south-central and mid-western US. Click here for a general account about the brown recluse spider, where it occurs, and how to identify it. For a more detailed account of the biology of brown recluse and related spiders in North America (including medical information), read this article published in The Journal of Arachnology by well-known brown recluse spider specialist Rick Vetter. 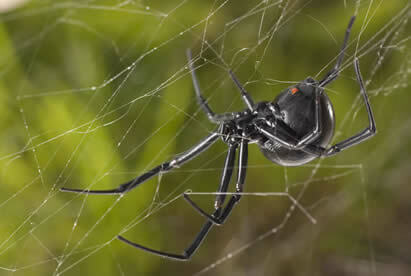 There are five species of black widow spiders in North America, north of Mexico. The species found in British Columbia is the western black widow spider. This species of cobweb spider, or comb-footed spider, is found from southern Saskatchewan, Alberta and British Columbia south into Mexico. In British Columbia, it is widespread in southern BC. The look-alike false black widow spider (Steatoda grossa) is widespread throughout the province. It may be mistaken for the black widow, but lacks the red hour-glass on its abdomen. " 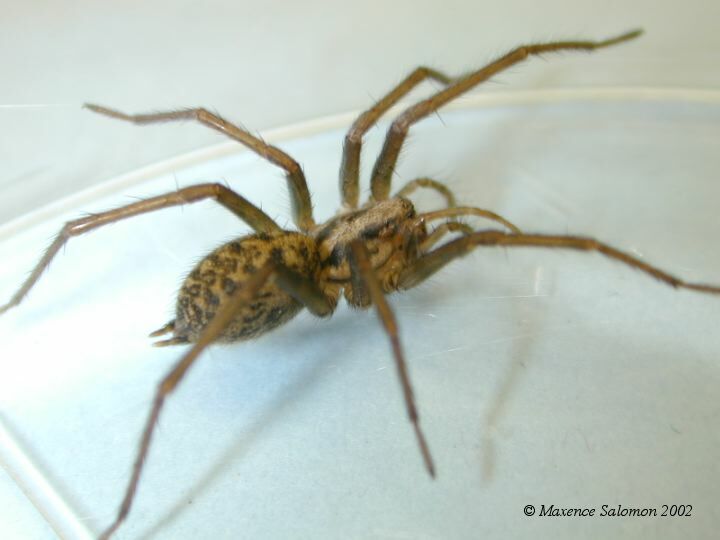 In coastal British Columbia, L. hesperus naturally co-occurs with two species of European house spiders: the giant house spider, Eratigena atrica (formerly known as Tegenaria duellica) and the hobo spider, Eratigena agrestis (formerly known as Tegenaria agrestis (Araneae: Agelenidae). Both Eratigena species were introduced to the Pacific Northwest in the early 20th century, rapidly spread and have now become invasive" (Salomon 2007). This introduced species of funnel-web weaver is widespread across southern BC and is mostly synanthropic (found close to human habitation), but also occurs in natural habitats in south-western and south-central BC. 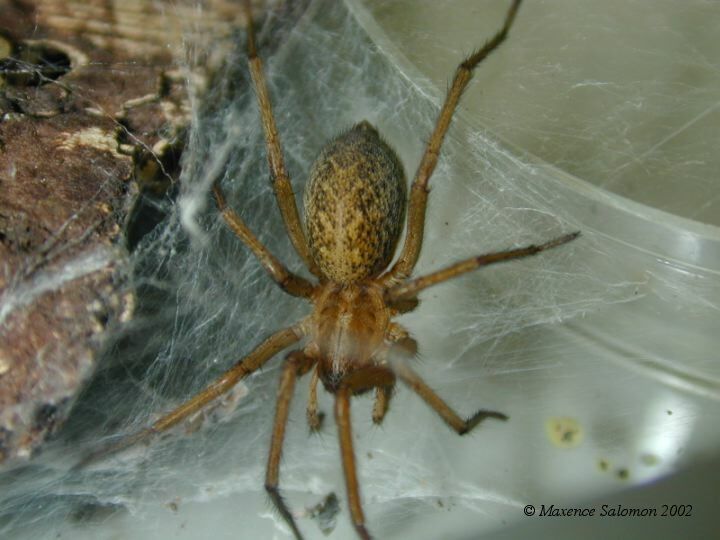 Populations of hobo spider are very localized, and it co-occurs with the western black widow spider (Salomon 2007). Note that no verified case of hobo spider envenomation exists. In Canada, hobo spiders are common only in southern British Columbia, although they have also been found in some cities in Alberta, Ontario and Newfoundland. 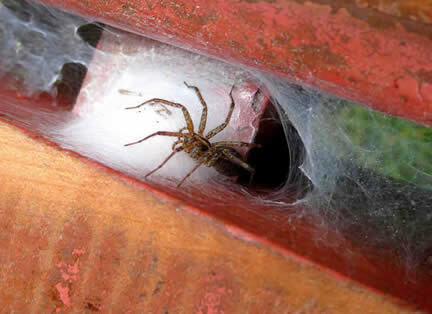 Read more about the distribution of the hobo spider in the US and Canada, by Vetter et al.(PDF). Posted with permission.